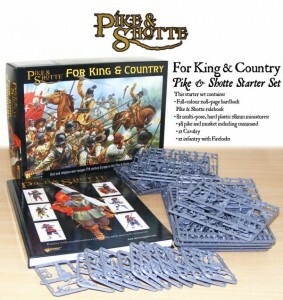 Warlord Games has released new a starter set for Pike & Shotte. It's a great way to get into the game. Following the success of our Hail Caesar starter set ‘Conquest of Gaul’, we now have a lovely boxed set ideal for getting you started with Pike & Shotte. Whether you want to refight the battles of the English Civil Wars or the devastating Thirty Years War this set is just the job.